This sums up Cascadia’s value proposition to clients. These qualities are baked into the DNA of the firm. Teamwork. Solving challenges. Bringing my best game every day. I’m passionate about improving our community. We are raising our boys to be citizens of the world and to make a difference with their actions. I’m passionate about making the broader Seattle area an even better place through community leadership and effective philanthropy. That means deep collaboration in cross-sector partnerships with shared goals to address long-term issues at a systems level. 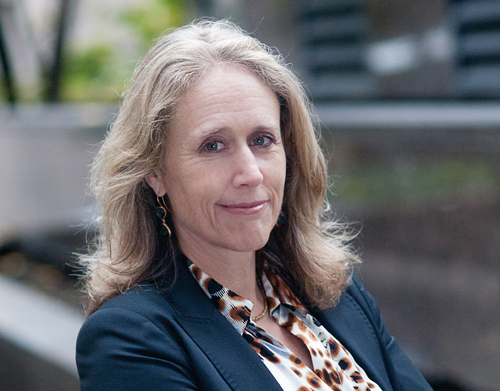 Ann Watson is the Chief Operating Officer at Cascadia Capital. In this role she oversees finance, operations, human resources, technology and compliance for the firm. Previously Ann was the Chief Financial Officer of Moss Adams LLP. Prior to that, Ann served in multiple leadership roles at Russell Investments over a 15-year high growth period for the global investment management firm. During her tenure there, Ann served as Chief Human Resources Officer, as a Russell/Mellon Board Member overseeing the Russell Indexes, as a member of the firm’s Management Committee, Compensation Committee, Diversity and Inclusion Committee and as a Corporate Finance group leader. Prior to joining Russell Investments, Ann spent seven years with Chemical Bank/Manufacturers Hanover based in New York and abroad. Ann is an active and engaged community leader. Ann serves on the Board of the Seattle Foundation, where she is Chair Emeritus. Ann also serves on the board of Heritage Bank, an Olympia-based publicly traded bank where she chairs the Compensation Committee. Ann has been a Social Venture Partners member since 2009. In previous community service roles, Ann served as a board member of the Washington Economic Development Finance Authority, as a Finance Committee Member for Thrive by Five, as an Executive Committee Member of the China Relations Council and as a board member of the Seattle-Chongqing Sister City Association. Ann has an MBA in Finance from Columbia University and a B.A. in Economics from Whitman College. Twenty five+ years of global financial services industry experience. Chair Emeritus of the Seattle Foundation Board, SVP partner for nearly 20 years. MBA in Finance from Columbia University, BA from Whitman College. Enjoying outdoor and family time in the Methow Valley. All forms of skiing – downhill, tele-mark, classic, skate and waterskiing. Experiencing the world through global family travel.